Are you ready to do more than the basics? Looking for stitch editing, advanced splitting, automatic knockdown, creative customizing and more? You are an Enthusiast and we made this for you. Originally designed to add to 'Essentials', this product is actually stand-alone, which helps people with all kinds of other software, projects, machines and hoops etc. Note: Enthusiast does NOT contain Essentials; it does other jobs related to editing designs. 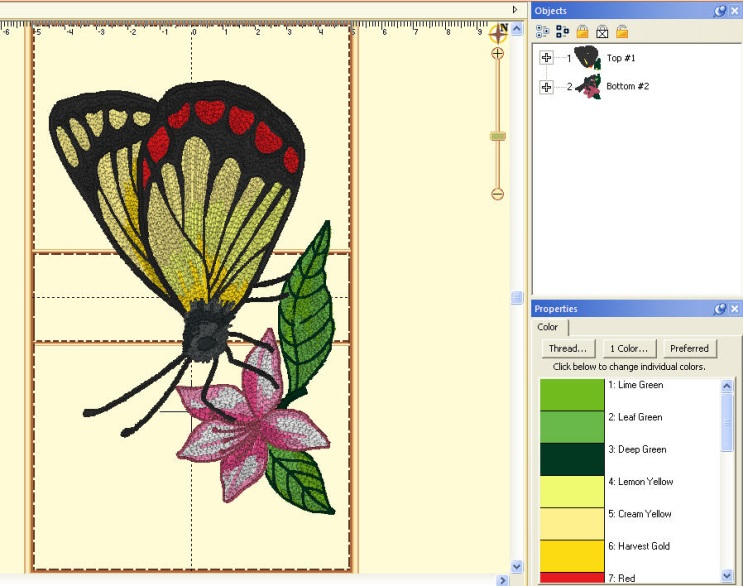 Editing tasks used to be performed by embroiderers with more experience, but Enthusiast makes it easy for everyone. You can select stitches in your design using Lasso and similar tools; move, delete, copy paste, split, and more. Repair gaps in stitching. 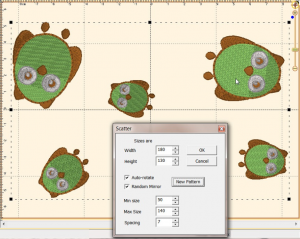 Adjust compensation, change stitch type from satins and fills, select and correct stitch types, including cleaning up jumps, ensure tie stitches before and after jumps. 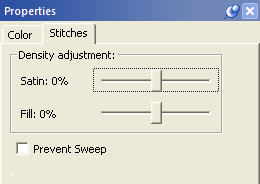 The ability to edit individual stitches is a very useful tool. Sometimes there are parts of a design that you simply do not want. Other times, there are jams of stitches that simply cannot be removed any other way. So, you saw it on the Internet and had to have it. Embrilliance Enthusiast has our patented design splitting technology built into it. 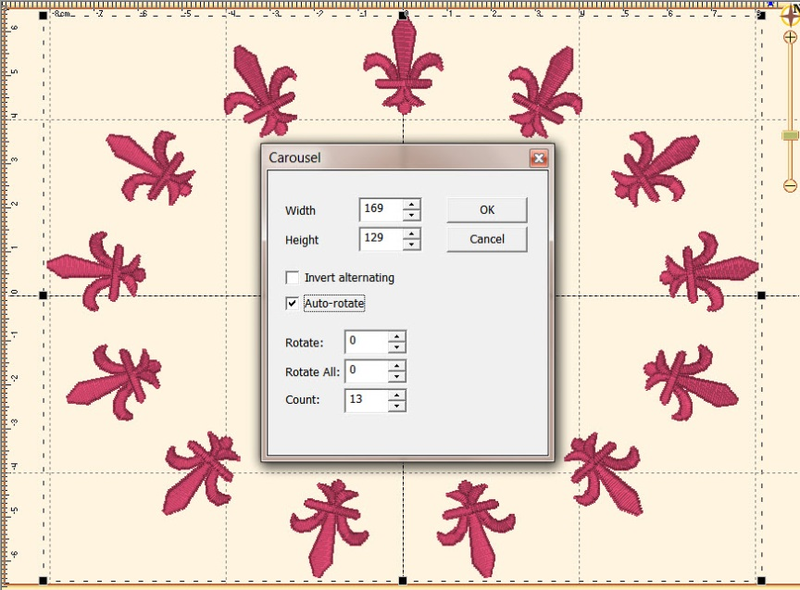 This system automatically splits designs into multiple positions for sewing as separate designs which tile together to make a larger design. 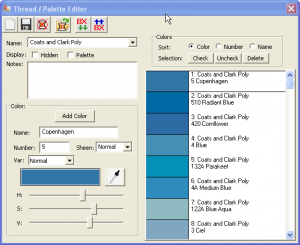 In the past, splitting a design took hours of editing by a person schooled in the process. Our splitting drastically reduces the visible ‘seams’ that occur from manually splitting files using an editor. 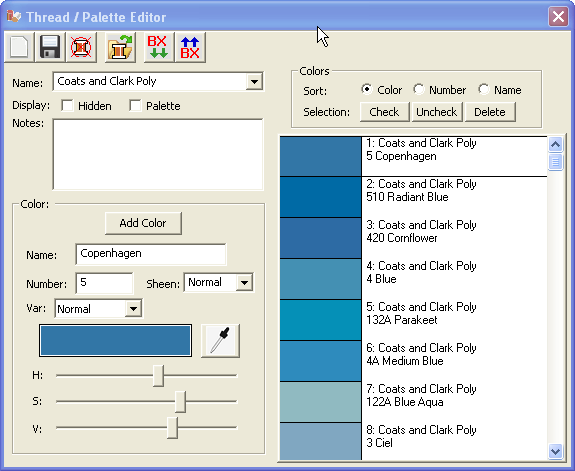 In most cases, the final product is indistinguishable from one created on a larger-field machine. Some hoops have multiple positions. 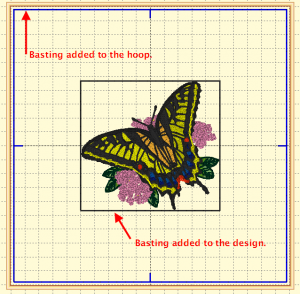 This means that you only hoop the fabric once and generate the design by sewing it in those multiple sections. However, you can achieve the same result by re-hooping the fabric multiple times to create the design. We call this a “Virtual Hoop.” The Essentials version of the program comes with many hoops and virtual hoops pre-defined. The Enthusiast version has creation and editing of these hoops as well. 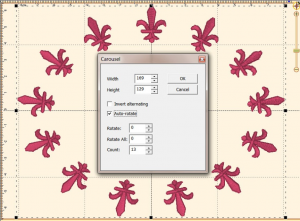 When sewing designs in multiple sections, often the question of alignment comes up. 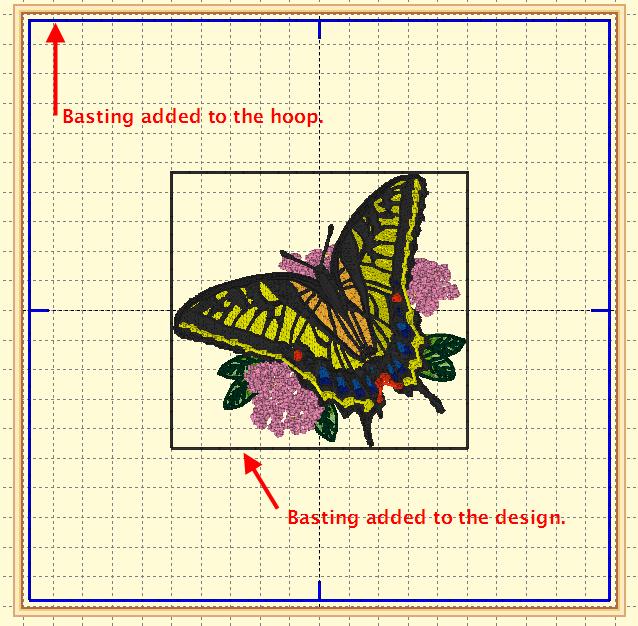 This is accomplished automatically with multi-position hoops, but to make it easier for regular hoops, the program will add basting stitches which will align the designs. To choose a hoop, click the preferences button on the toolbar, and the Hoops window will appear: Many built-in multiple position hoops pre-loaded. Split AUTOMATICALLY using our patented feature. Use Mega Hoop, Plus Hoop, Jumbo Hoop, Dream Hoop, Hoop-It-All, etc. You can even use many regular hoops in a side-by-side arrangement so your sewing field is now as wide as it is tall. 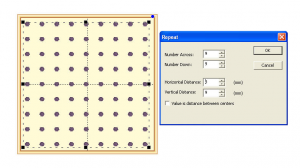 You can precisely position designs using these buttons. The three buttons on the (top, left) control the display of the x-axis position. There are Left, Center and Right, which means that when you have the Left button set, the display will be of the left edge of the design. Similarly, the bottom three buttons control the vertical axis, top, center and bottom respectively. 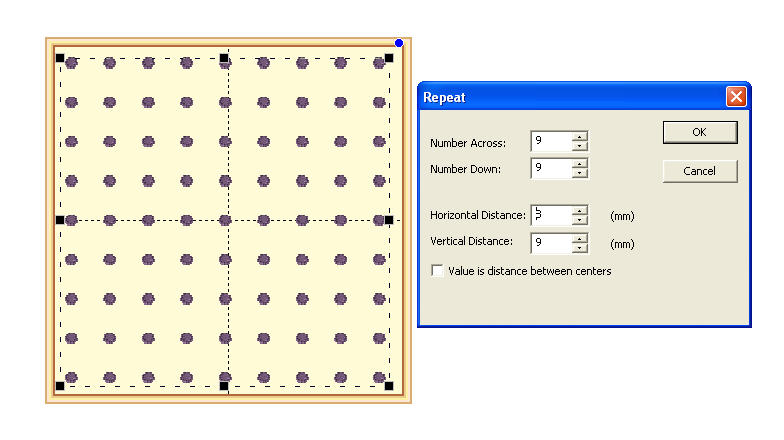 The position controls are very useful for creating tiled patterns. If you are a DRK user, there are additional controls which also tie in to the Project Advisor and the Project system.